After you've had a car for a few years, the new-car smell wears off. It's not your new car anymore, just your car. You're used to it. That's the Forza Horizon series. It's expected, reliable, and that new-car smell has worn off. But with time comes familiarity, and you can learn the ins and outs of a car, getting the most out of it. Or maybe it starts to fall apart because you've been pushing it too hard. So now that we've been driving the Forza Horizon series around various locales across four games and six years, which is it? 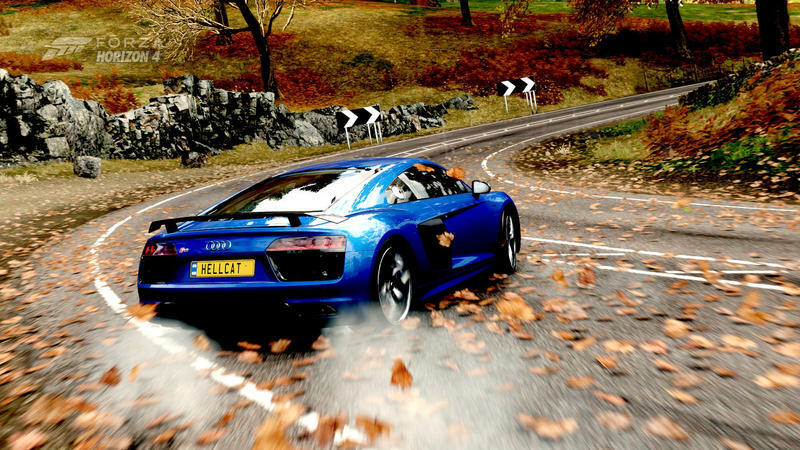 Is Forza Horizon in need of a tune up, or are we just now starting to squeeze the most out of it? 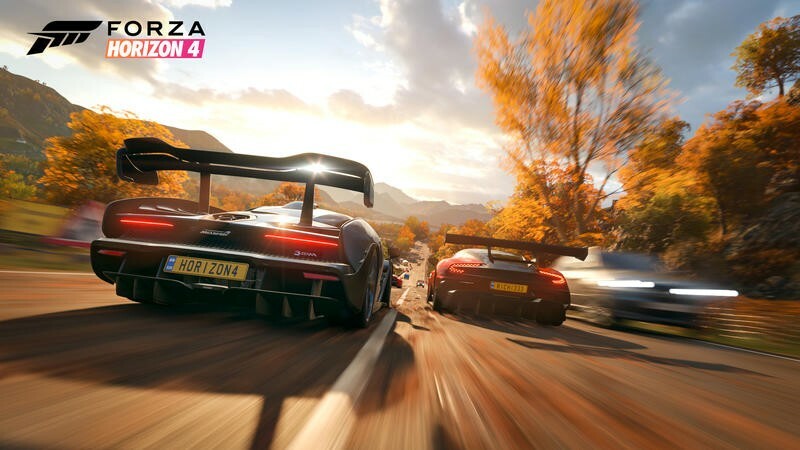 Forza Horizon 4 takes us to the United Kingdom this time, after jaunts to Colorado in America, Southern Europe, and Australia. The theme-parkified map mashes together miniaturized versions of England, Wales, and Scotland into a big open road. 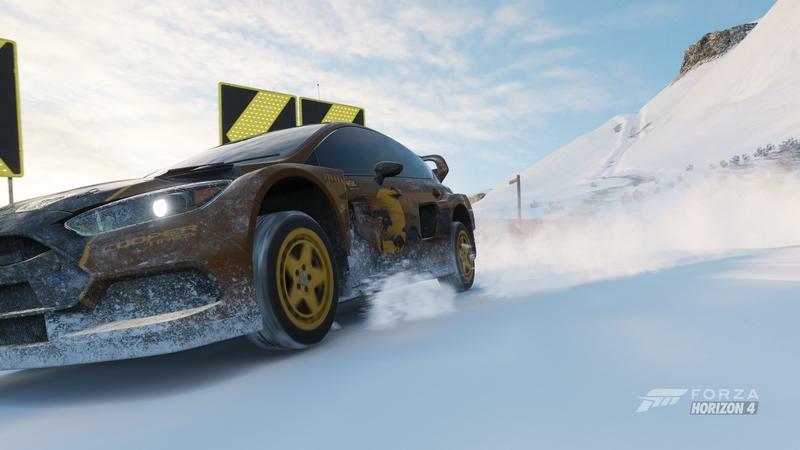 The Forza Horizon festival has begun again, and this time it's going all year-round, complete with fully realized seasons and a host of small changes that help it feel fresh, even if some parts don't quite work as well as they used to. One of the things I've loved about Forza games right since the beginning was the way the teams behind these games make features that elsewhere would be little things, but here feel like major gameplay changes. 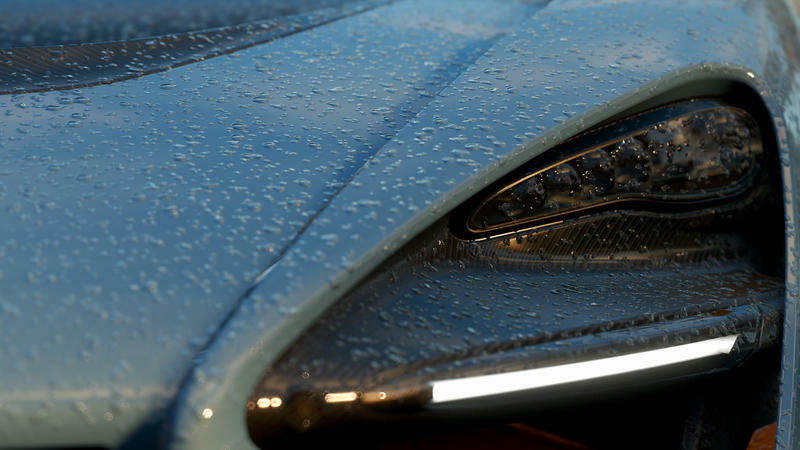 Forza Motorsport 6, for example, brought three-dimensional puddles into the game. Any driver who lives in a place with weather, and has maybe hydroplaned into the guardrail, knows how this can turn a safe road into a dangerous one. 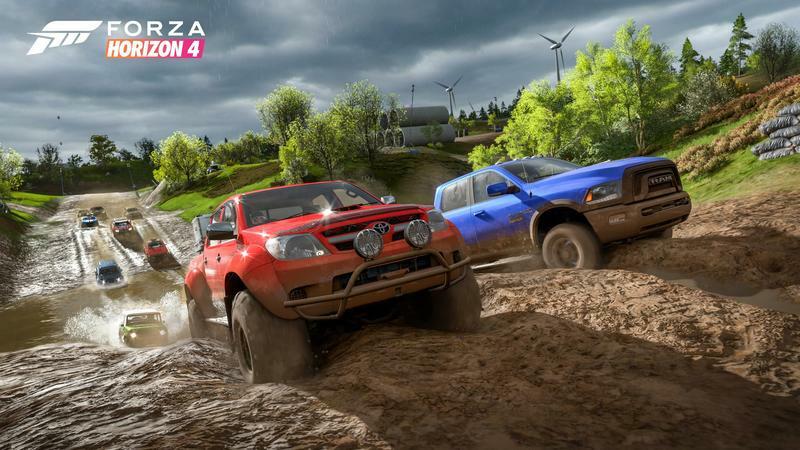 This time, it's Forza Horizon's turn. 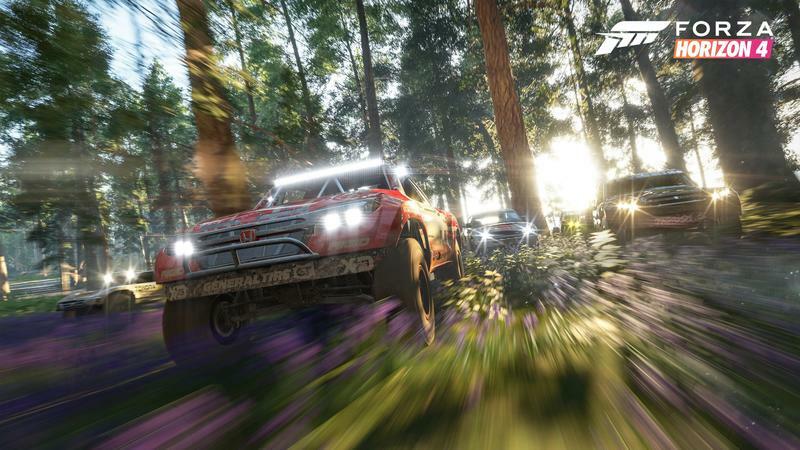 Forza Horizon 4 isn't just bringing rain, but entire seasons to the game. The fictional festival is now a year-round event, and that means spring rain, summer heat, fall leaves, and the ice and snow of winter. This isn't one map. It's four, all layered onto each other. Here's how it works. 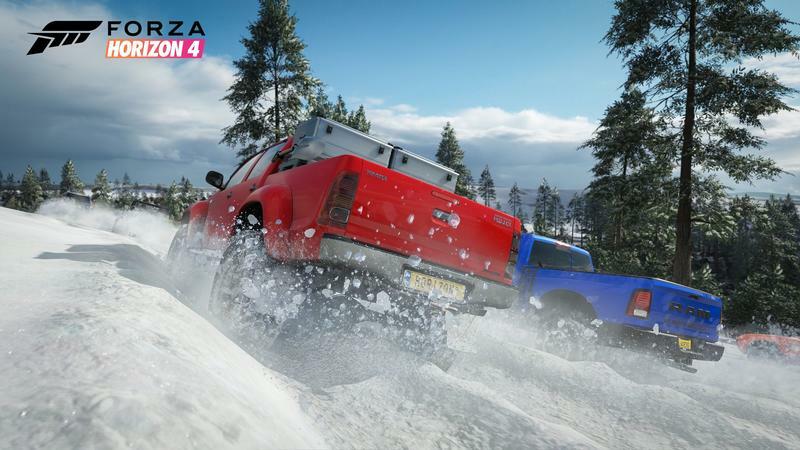 The opening hours of the game introduce you to all four seasons, letting you experience the individual slip and slide of each one. After that, the game lets you out of the kiddie pen. Each season lasts a week in real time, and that season is synced up on the server side. You can play the game offline, but if you go online, you'll be playing the same season that everyone else is experiencing. 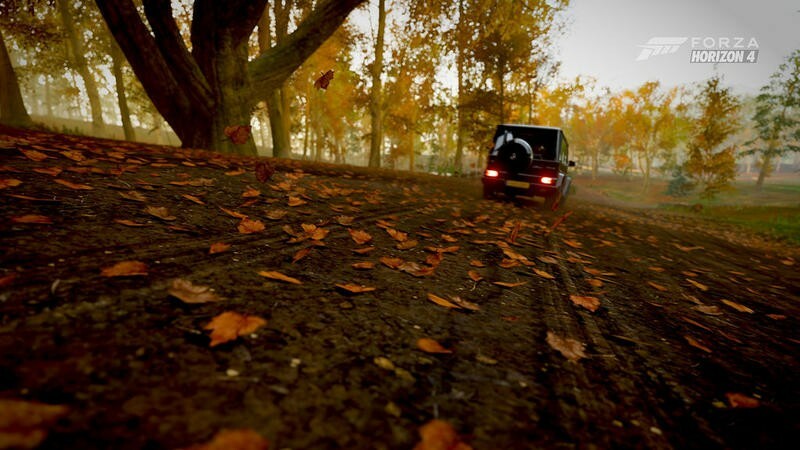 Each season comes with a few unique events, some challenges, and other little things, but the big thing is that it completely changes the look of the world as you drive around in it. 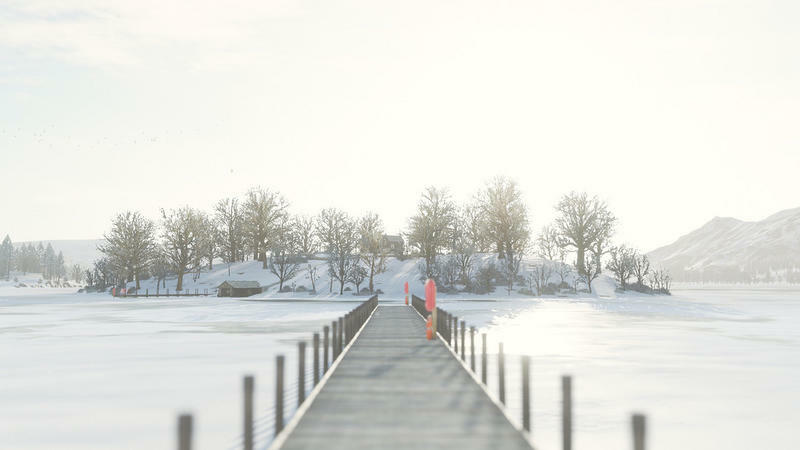 The world lights up with color in the fall, and the lake on the western side of the map freezes over, making previously undrivable areas now passable. 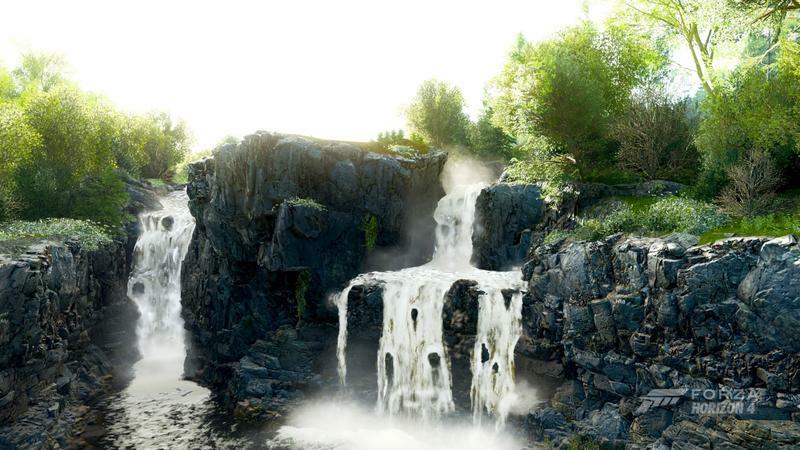 Rivers and oceans, meanwhile, stay liquid as you would expect. And it's an absolute marvel to look at. As much fun as I had driving around the gorgeous outback of Australia in Forza Horizon 3, Horizon 4 feels like a revelation. I miss the dunes and drier parts of that map, and the density of the jungles, but this one overall is a much more impressive display of Playground's technology. There's more of almost everything. The England environment has tons of verticality to it (steep hills, sharp drops, and big jumps) and more architecture to compensate for that (e.g., huge bridges spanning crevices).It makes for more interesting showcase races and gives variety to races in general, on top of the added variety of season changes. 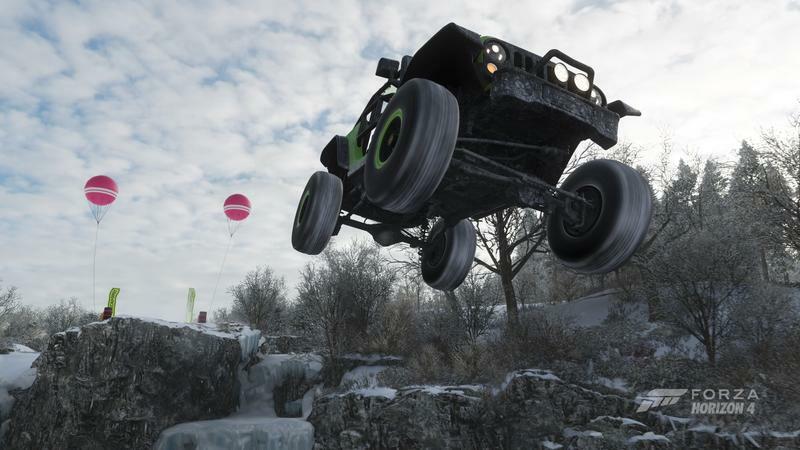 You can slam down a hill at a breakneck pace against a hovercraft, try to outrun a train as it crosses a bridge, or find a hilly field to run stunts in. These all look wildly different when seasons change, and it makes them worth revisiting. The seasonal changes might be what keep me coming back more than anything else. 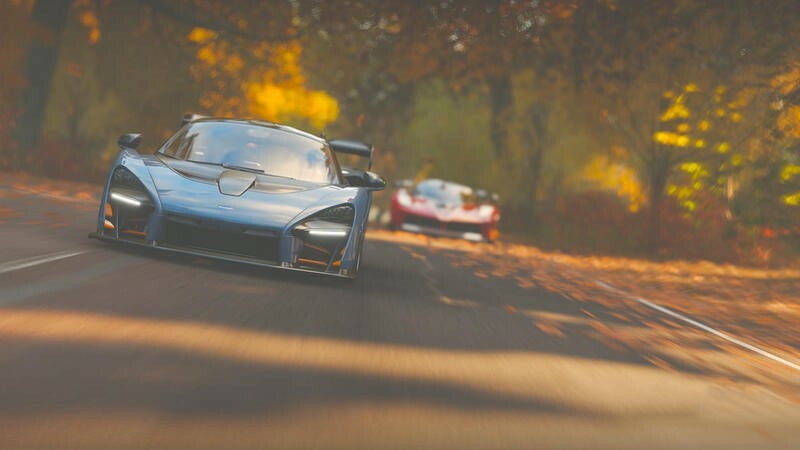 My initial experience with Horizon 4 was during the fall season, and that's where I played most of the game. As the game's release date grew closer though, I realized I wasn't going to experience more than just that one season. 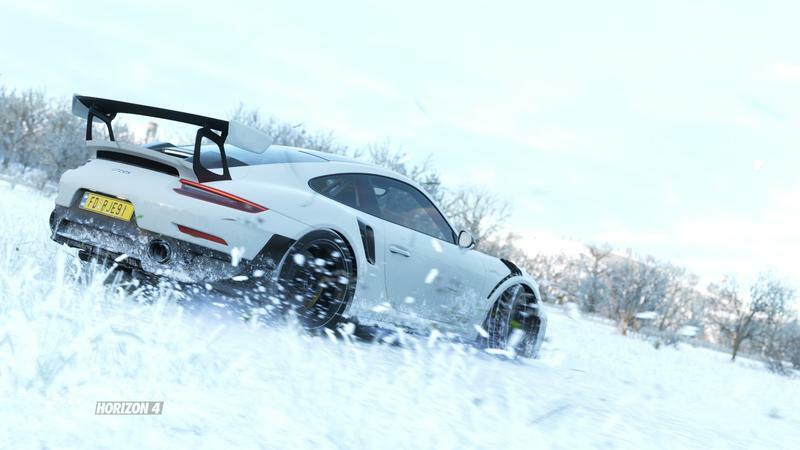 Worse yet, it seems like Playground gave winter and spring a miss and went straight on into summer after that, leaving me hanging on getting the true experience of playing Forza Horizon 4 in the winter. So I decided to hold back my review, and I'm glad I did. 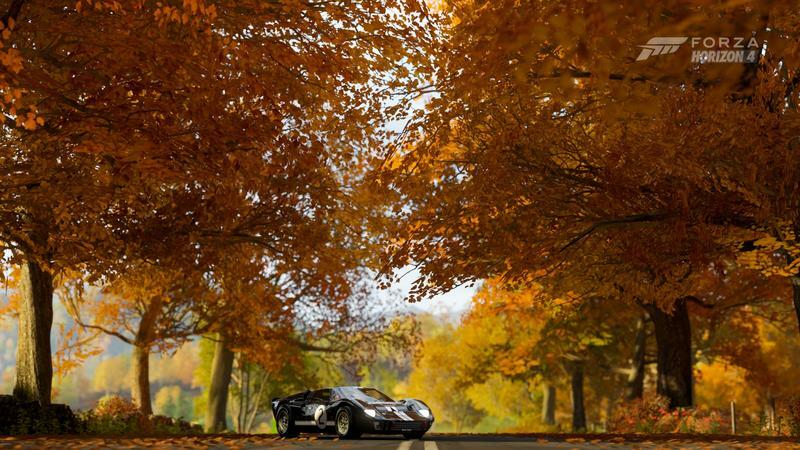 The seasons along with a few other elements helped change my relationship with cars in Forza Horizon 4 from other games. 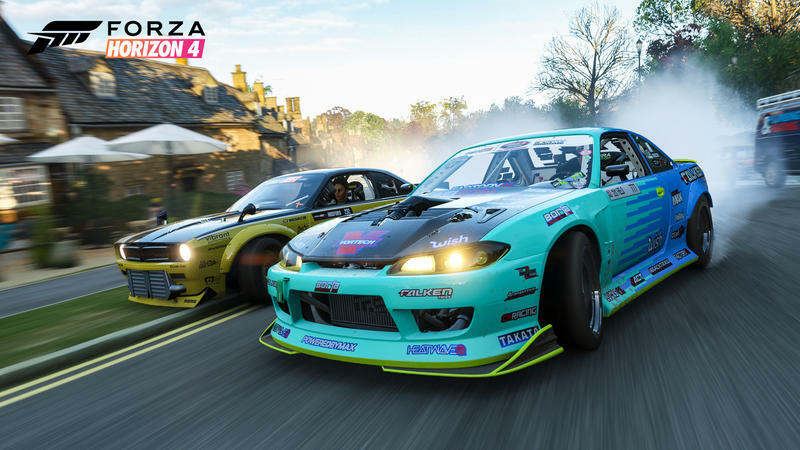 One of the things I found frustrating about the last couple of Forza Horizon games is how, in an effort to let people play however they like, Playground Games took a lot of the magic of trying new cars out of the game. It felt like the game would let me go through the entire story with just a few different cars without ever encouraging me to switch. 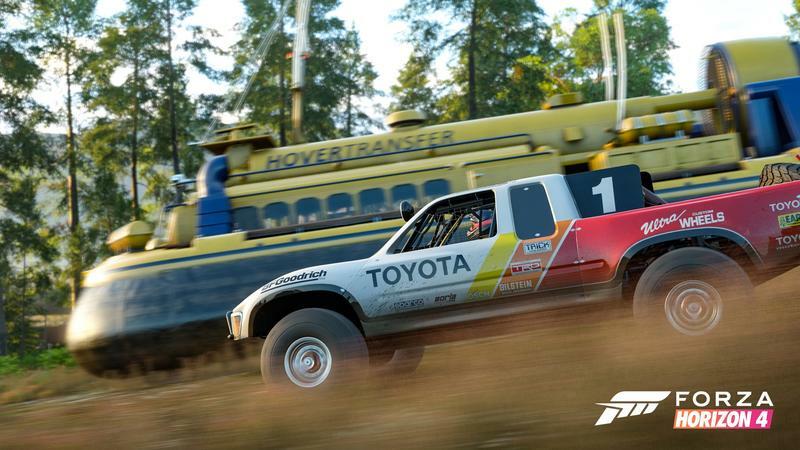 Somehow, Forza Horizon 4 has found a way to do both. 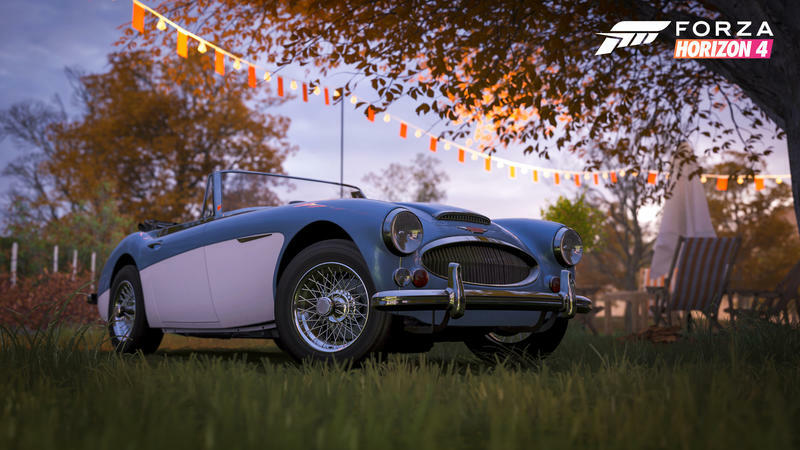 Instead of letting you sit in one car for the whole game or forcing you to change to a new car every race, Horizon 4 encourages you to invest in a small fleet of cars, getting familiar with a smaller group with different applications. You're still awarded cars at a breakneck pace, but I ended up marking a few as favorites for certain applications. 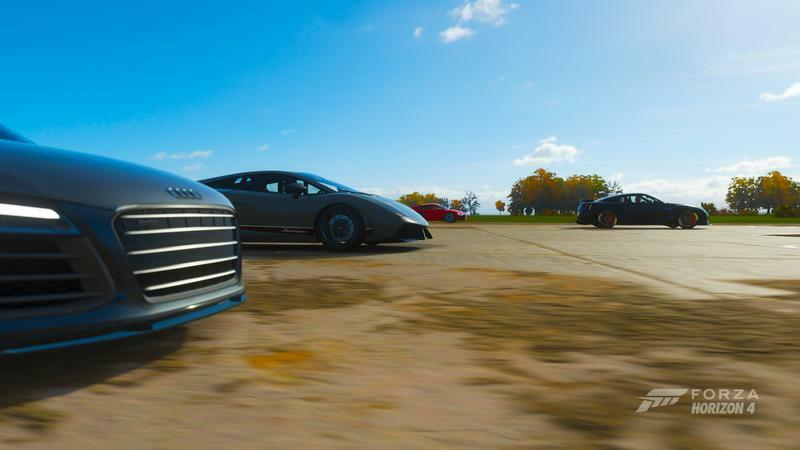 The way skill points work in Horizon 4 is totally different. Instead of investing them in yourself, you invest them in your cars. The points roll in fast enough I never felt like the game was tying me to a specific car so much as beckoning me back to it. Each car has a grid of about 25 skills that vary a little bit but have a lot of overlap. 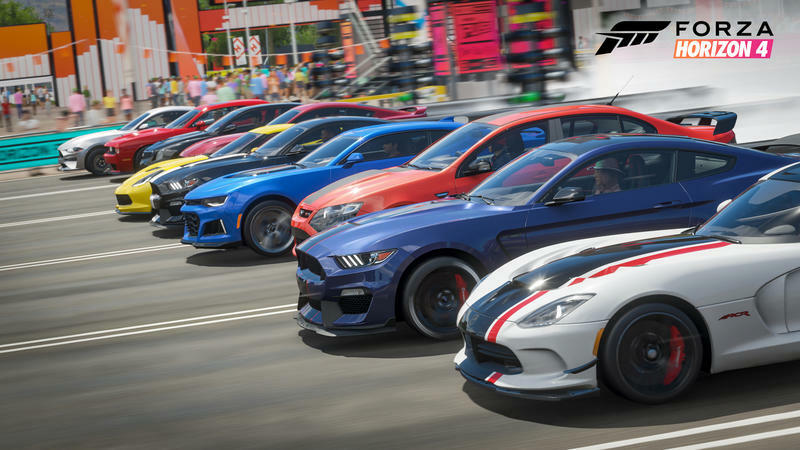 Many of them focus on faster generation of skill points and influence, and filling out your grid takes just a couple hours of play between free roam and races. It's especially fast if you're the type to just find a spot and drive around to see how many skill points you can bank. Helping this along is one skill that you can grab on every car that lets you crash once without breaking your skill chain. This both speeds up the process of generating skill points and also encourages experimentation. 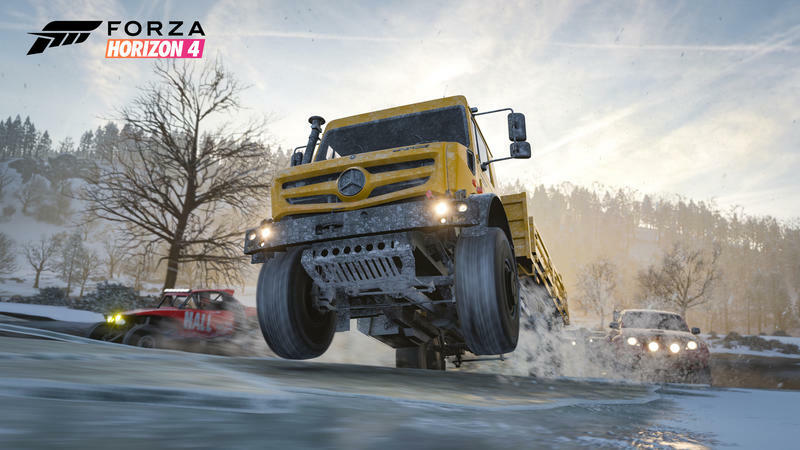 But while you're generating skill points and investing in cars, Horizon 4 finds ways to put you into new vehicles. The most obvious is the use of seasons. 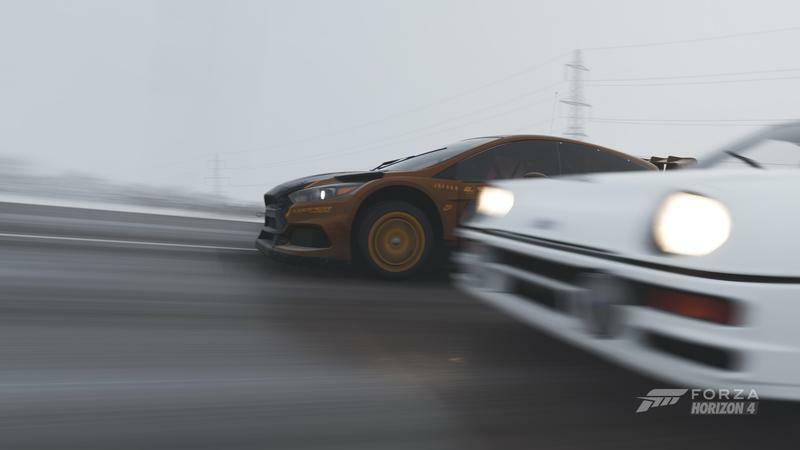 You can put snowtires on just about any car, but even in the magical car fantasy that is Forza Horizon, a low-slung Lambo is not the best tool for a winter race. 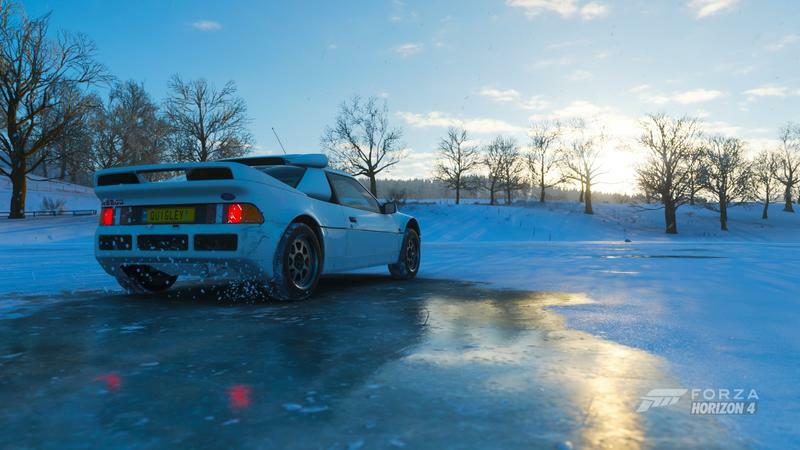 You can keep driving that way, but rally cars and all-wheel drive vehicles really shine in the winter season. Snow hits the ground and suddenly cars with Subaru badges look like monsters while other cars spin their tires. 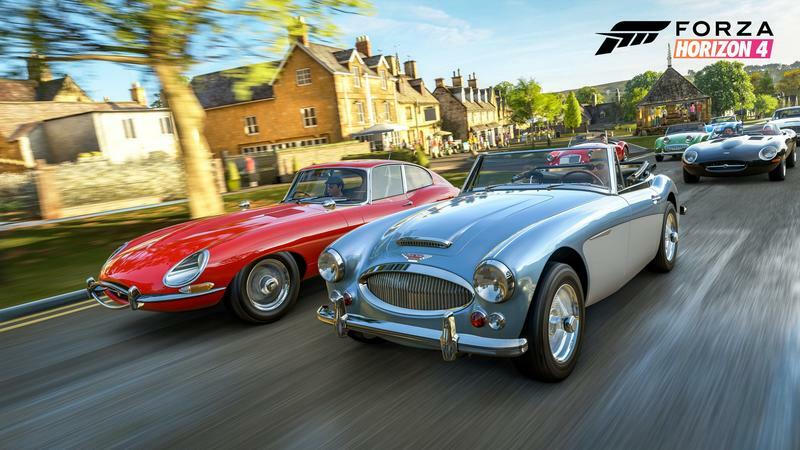 Another way Horizon 4 gets you into other cars is through the four "stories" that you can play through. There are approximately 8 million ways to progress in the game, but these four offer a light way to bring some linear progression to the event. One of the more entertaining ones has you racing for a game streamer named Laracer. 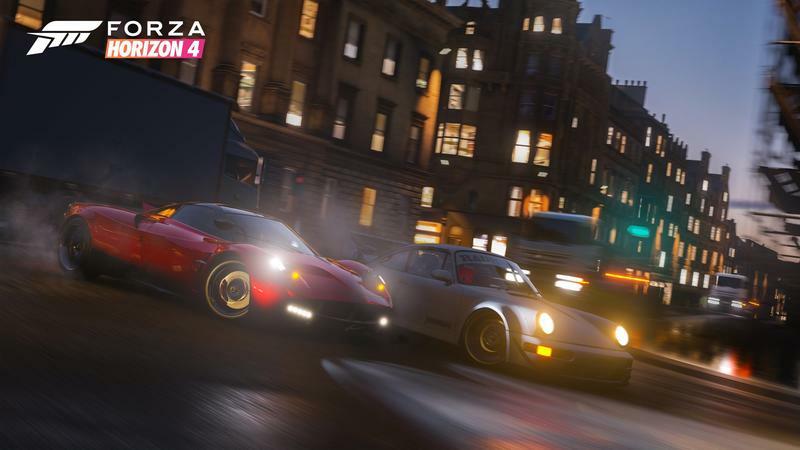 Laracer wants you to reenact some classic races from different games, including classics like Outrun and Crazy Taxi (yes, there's a Bad Religion song, and no it's not one of ones from the original game) and more modern stuff like Project Gotham Racing. Gran Turismo doesn't get a shoutout here, as you'd expect, but the list of video games they explicitly call out is fun all the same, and it gives you something to keep coming back to that lets you sample other cars. Another has you joining a drift-racing club. What's great about this one is that it puts you into cars tuned specifically to drift. I love drift racing, but I've never been great at tuning cars to accomplish it. This turned out to be a great way to experiment with these cars and the kind of turning that makes it easier to make your tires slide around. 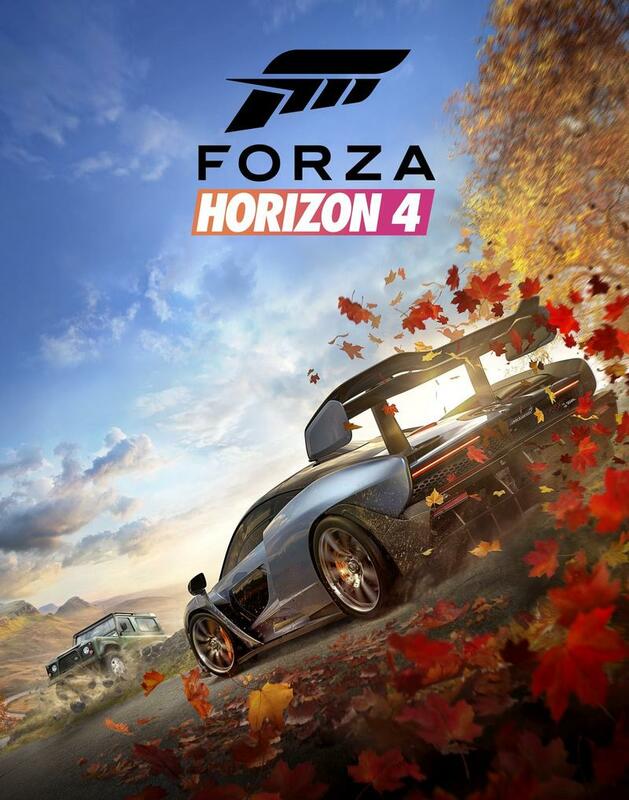 Despite the seasons being in constant motion, despite this being a game about driving a car around, though, it feels like Forza Horizon 4 is lacking direction. The thing is, this is by design. The Horizon Festival is a place for you to do whatever you want, whenever you want. This time around, everything that you do in the game progresses you. All the myriad activities baked into the game have their individual progression meters, but they all funnel into a single "Influence" meter that levels you up. That means that you can focus on painting and tuning cars if that's what you like doing, or you can strictly focus on going off jumps and breaking speed records. It's a bit like Forza Horizon 3's star system, but instead of getting stars for just driving, you can get stars for making things, streaming gameplay, goofing around, and even watching people play. You can progress your level in road racing, dirt racing, cross-country racing, or illegal street racing. 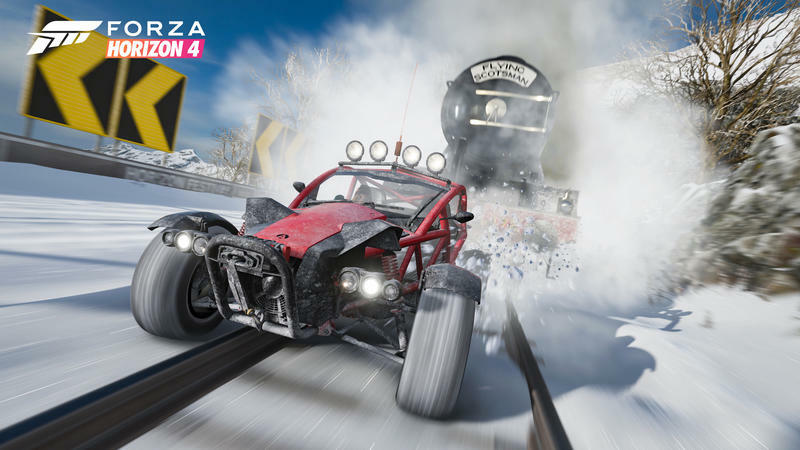 You can progress in drifting, 'danger signs' (read: sweet jumps), and speed traps. You can, as with Forza Motorsport 7, level up by buying cars (and probably selling them, too!). Great as this sounds, it ends up being kind of a double-edged sword. For many gamers, direction is crucial. "Do whatever you want" is a curse rather than a blessing. I realize that this isn't how everyone plays games, and that a more open sandbox might be to many players' liking, but it's disappointing to see that Playground Games has dropped that linear progression so completely. Even the vestiges of it that we saw in Forza Horizon 3 feel like they're gone. For others, though, it is indeed a dream come true. As you participate in activities, the game unlocks more of that activity. If you keep blowing through speed traps, you get more speed traps. It's easy to gorge on just one activity this way, so I appreciated that the stories and showcases were there to push me out of it. 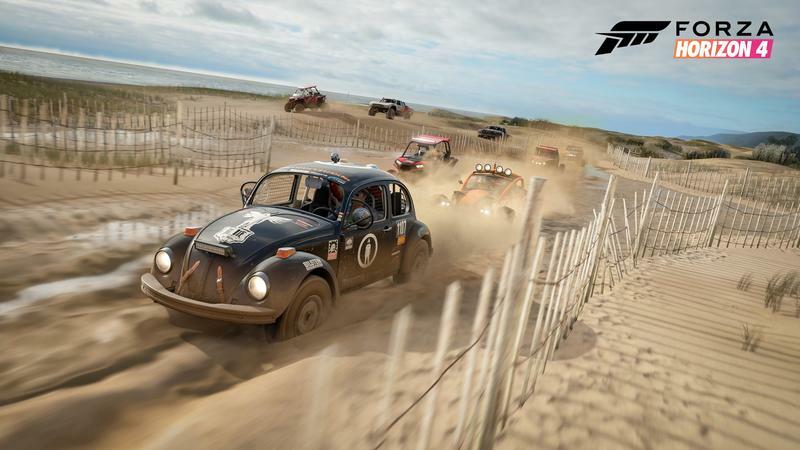 But for those that want voice-acted opponents to race against and increasingly skilled "character drivers" to race against, though, Forza Horizon 4 shows that that kind of progression is gone from the series for good. 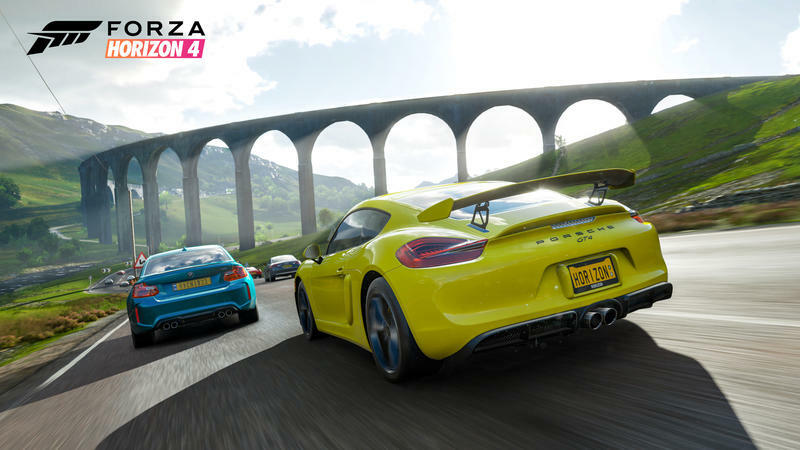 Despite how much of Forza Horizon 4 works, though, it feels like a bunch of the game's moving parts didn't get as much love as they should've before launch. This game is about the Horizon Life. You live in this crazy racing festival 24/7/365. You can't sleep in a car, so you buy a house. You start with an adorable little cottage, but if you're successful enough, you can work you way up to buying Edinburgh Castle, with the game telling you you have to keep it open to the pubic. To help you support your lifestyle, you have to pick up work. At least that's the idea behind it, but none of this stuff feels fully baked, enough that it's barely there. One of the aforementioned stories involves you starting a rental business for hypercars and generating business for it by racing sweet cars around the map at high speeds. As far as I can tell, this is the only business in the game, and it doesn't generate very much cash. The other stories net you cash for doing the races, but there's no ongoing benefit to them the same way that there is with the rental business, and that doesn't generate enough cash to matter unless you're logging into the game every day for weeks at a time. The houses don't add much to the game, either. 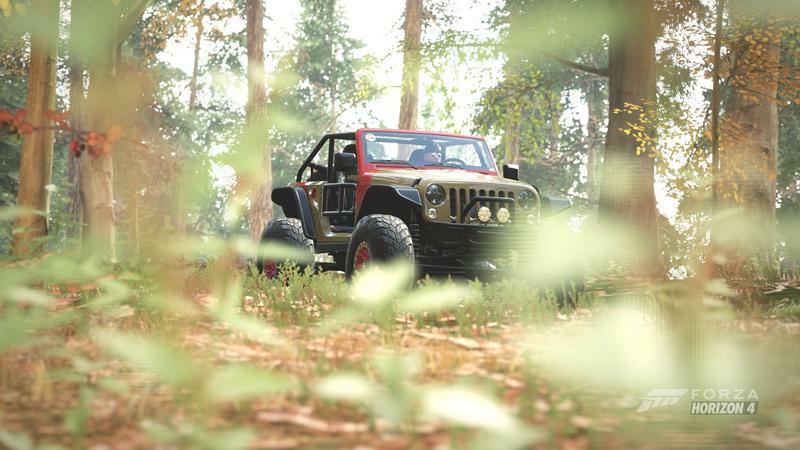 In truth there's very little reason to buy them other than to unlock certain features, like the drone you'll definitely use to dig up the increasingly played-out "Barn Find" cars hidden deep in the forest. Houses can also be used as fast-travel points before you unlock the ability to fast travel to any point on the map. They also serve as new places to take pictures of your ride, and they give you a place to customize your driver, but that's really about it. They're more cosmetic than actually gameplay-functional. With a little work, these elements could have been made to matter more in the course of the game, and have some deeper customization themselves. For example, I'd love to be able to rotate the lineup of rental cars to match the season and generate even more cash by giving a few seconds here and there to the business. Like, you know, the way a business actually works? And I wish the houses had options like a garage for us to put a few cars into. It would be cool to put a few of your thoroughly-customized cars on display at the site so that you could take pictures of your favorite rides together. The pre-release PR for these features was breathless, but the actual implementation is so empty that instead of leaving me breathless, I'm left without any air to breathe. 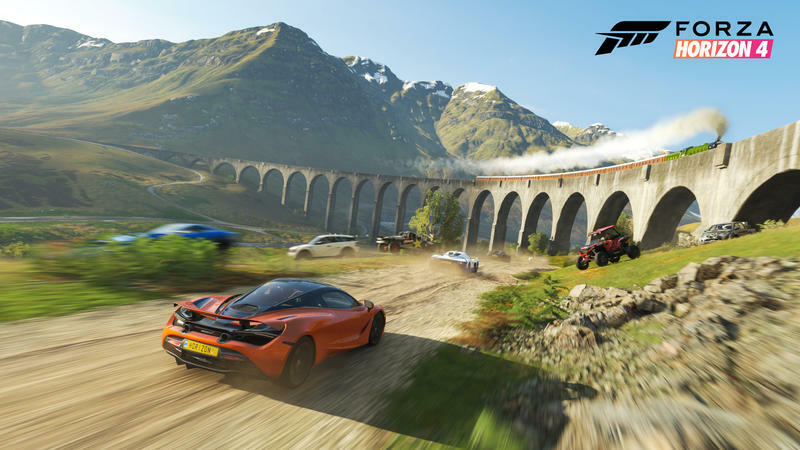 Despite those stumbles, Forza Horizon 4's biggest feature is what effortless joy it is to play. Once I started driving, I found it hard to put down the controller. 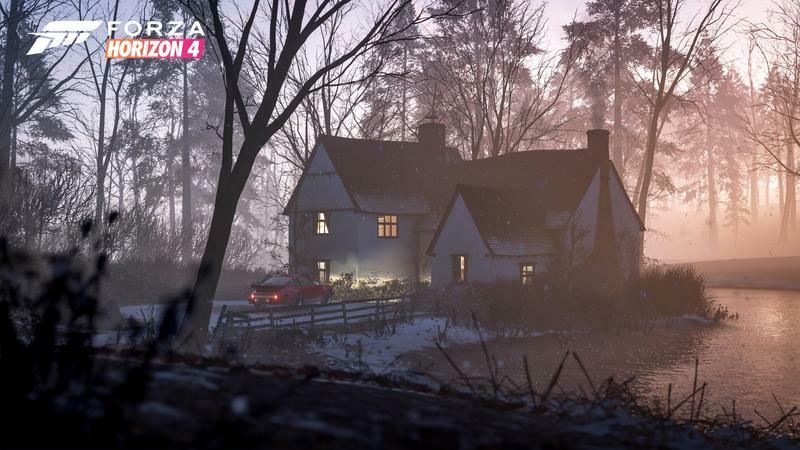 Horizon 4 works hard to keep you moving and makes sure there's almost always something in sight, either out in the world in front of you or on the mini-map. Thanks to this, the game managed to keep me driving for hours at a time. I could spend some time doing stunts before setting a course to a race, and whip through a few drift zones and speed traps on the way. 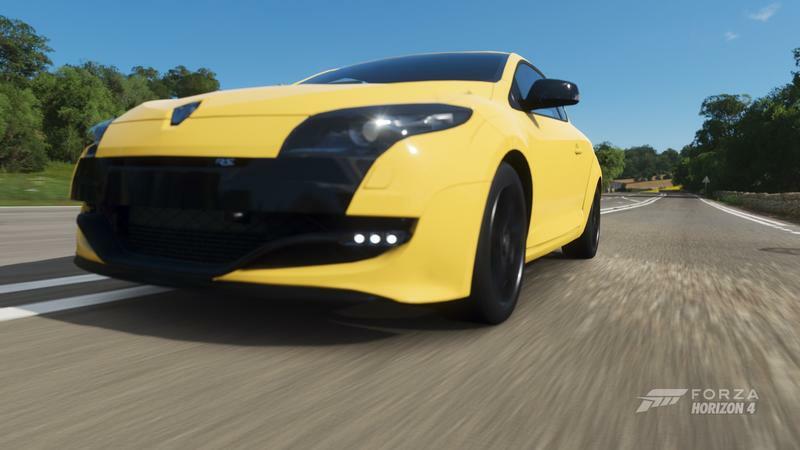 Driving in Forza Horizon, even just for the sake of tooling around, is so much fun in its own right that I'd recommend this one – even more than Forza Horizon 3 – to people who aren't at all interested in racing. More than in previous titles, the races seem to be tuned to make the game constantly feel challenging without also being frustrating. I spent less time going out of bounds on tracks and more time winning races, but often winning them just barely. There are no microtransactions to hamper this, either. There are things that feel like they might've had microtransactions tied to them at one point, but the studio has taken a more aggressive stance against microtransactions. 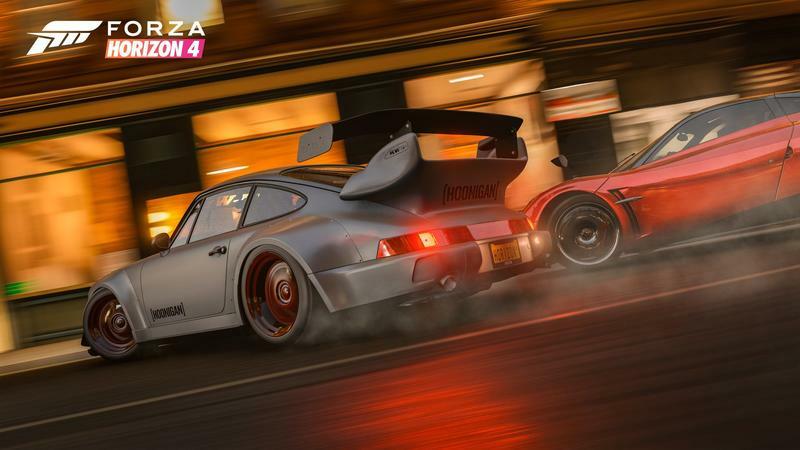 There are car packs, and there will certainly be expansions, but there's no 'speeding up' gameplay. Instead, I found that the game moves at such a breakneck pace from minute one that I wouldn't know where to use such a thing. While I wouldn't say I'm absolutely rolling in cash at any given moment, the only things that feel like they're intentionally overpriced are the castle homes. 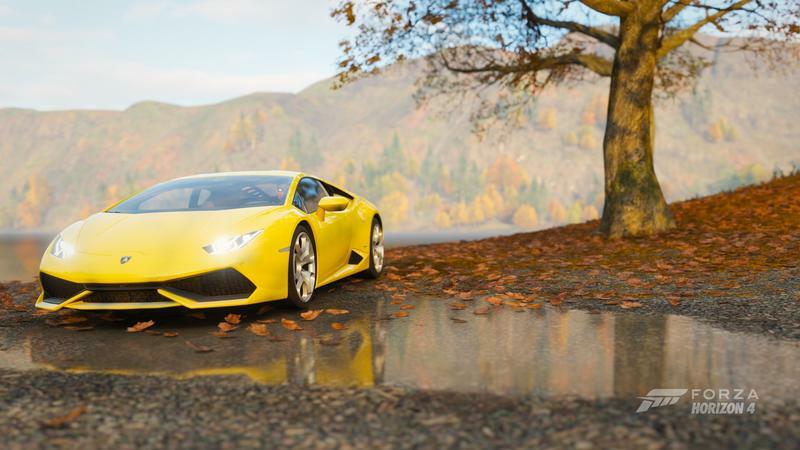 While you're working up to whatever car you might want, though, you're constantly being awarded "wheelspins" that award you a random prize from the list of cars in the game as well as cosmetic items like clothes and poses for your avatar. My avatar dabs, because I imagine her as being just the absolute worst person, which is also why she's driving around in an uncovered jeep in the middle of the winter. I wish less poses and horns were awarded in these spins – now that I can dab I'm never going to change my pose again – but even so I get new cars and money prizes often enough that I always have something new and fast to drive. If you happen to be playing on an Xbox One X, you have the option for the first time of switching between "high resolution" and "high performance modes." 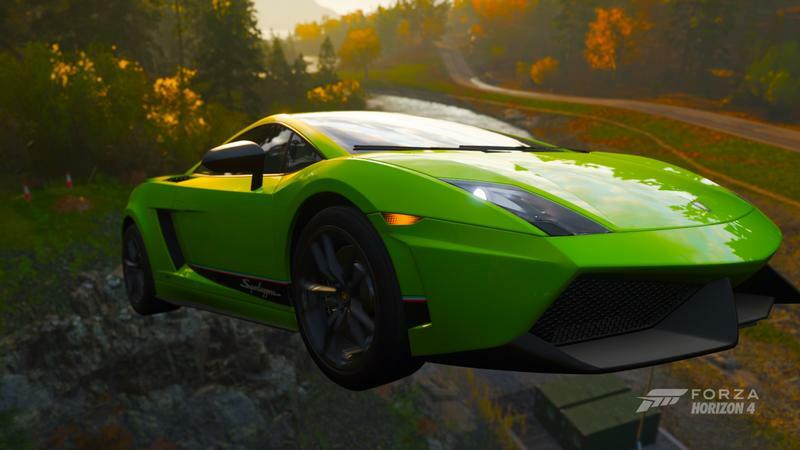 If you're on PC, this is a non-factor, but over on Xbox the Forza Horizon games have always run at 30FPS, a big drop from Forza Motorsport's 60. 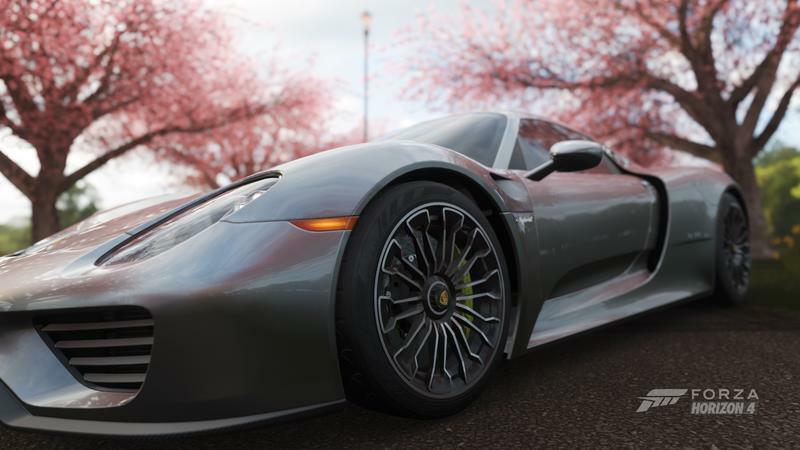 If you choose high resolution, Horizon 4 runs at full, true 4K, and it looks absolutely dazzling. Switch to high performance, though, and the game drops to 1080p but cranks the framerate up to 60 FPS. The game loses a few visual enhancements, but it still looks absolutely stellar and runs buttery smooth. If you do have an Xbox One X, you're getting a great experience whichever you choose. If you dig up Digital Foundry's breakdown, it's clear that there is a difference in visual quality, but it's pretty hard to tell when you're sitting on the couch. I'd lean toward recommending performance mode just because the game feels that much better. There's a bigger emphasis in this game in going online, but Playground was smart about how it implemented it. If you're connected while you play it, it reminds you in small ways that it's there, but it never pushes it on you. I'd almost compare it to – yes, I'm going to do it – Dark Souls. You see the ghosts of other living, active drivers in the world, other players playing in your same instance. You can challenge them or be challenged to races. But you can't crash into them or vice versa unless you actually get into a race with them. 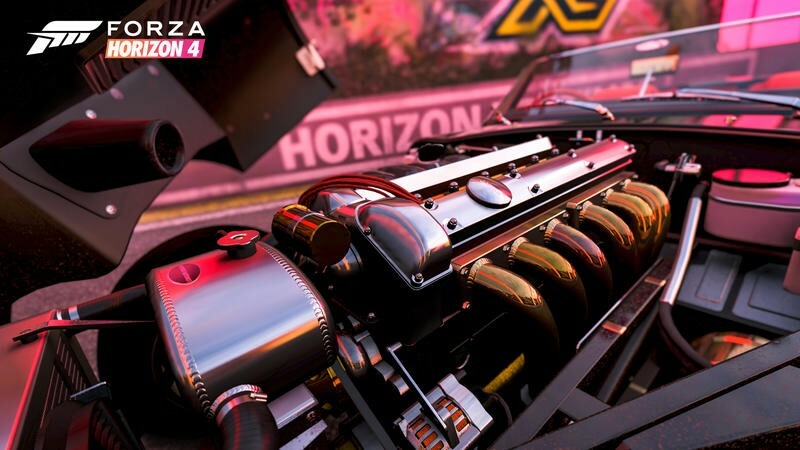 Horizon Live events let you meet with the other players on the server and partake in things like races to do the most jumps, but they're not required and you can ignore them completely. 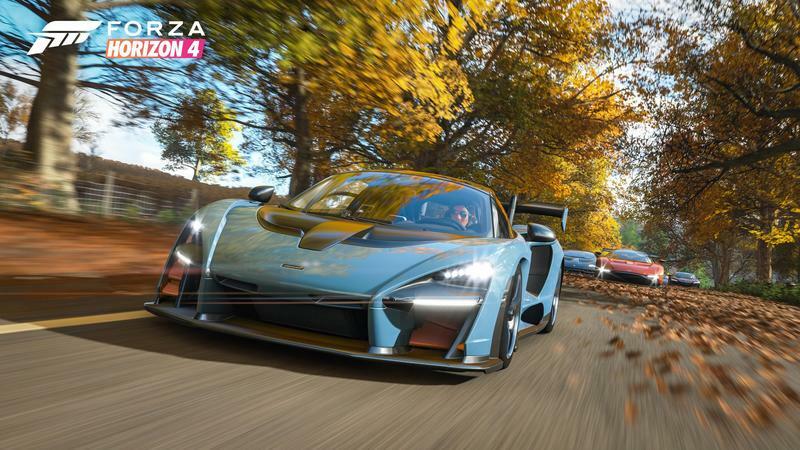 Forza Horizon 4 is an entirely online game, but it's also an entirely single player game. 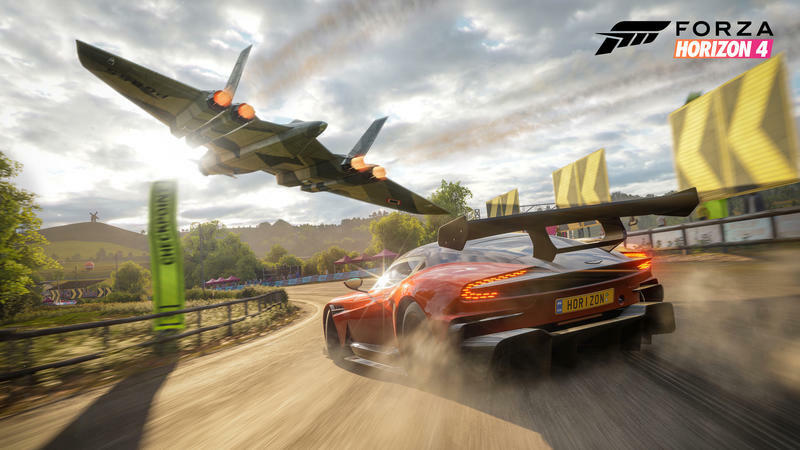 Even with the online stuff, Forza Horizon 4 aims to be whatever you want it to be. 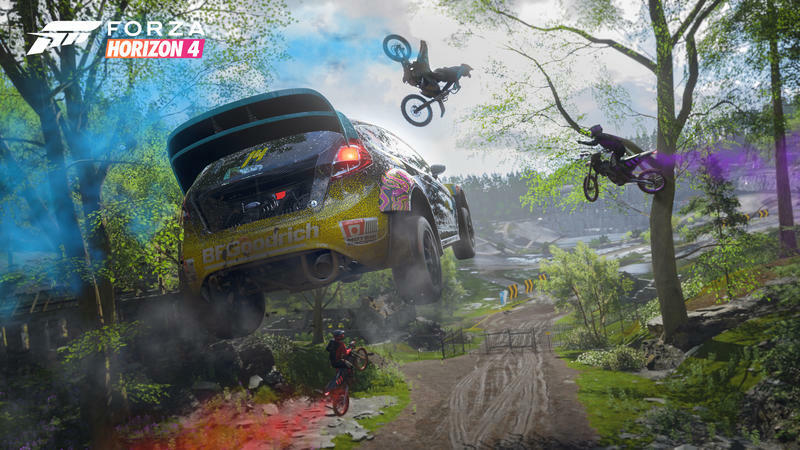 A few minor quibbles: The soundtrack is, in my estimation, not as much fun as those of the last three Forza Horizon games. Of the four, 4 easily comes in last for me. I wish seasons moved a little faster. Maybe a 5 day rotation. But I'm glad they're not hourly or daily. I could do with less banter from witty Brits in my ear. I also wish the upcoming feature that allows you to layout your own race tracks was available already, because I'm definitely going to be using that. But these are all ultimately inconsequential. 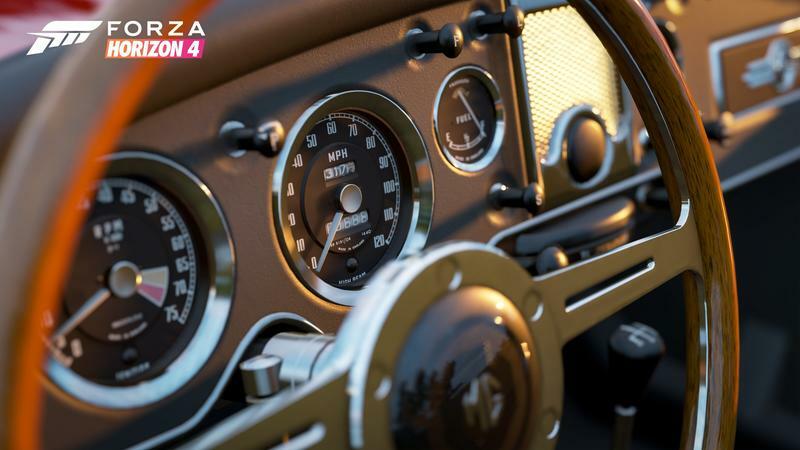 Forza Horizon 4 is an absolutely gorgeous game that encourages you to explore it your way. It wants you to keep coming back to it, and makes the idea of doing that deeply appealing. 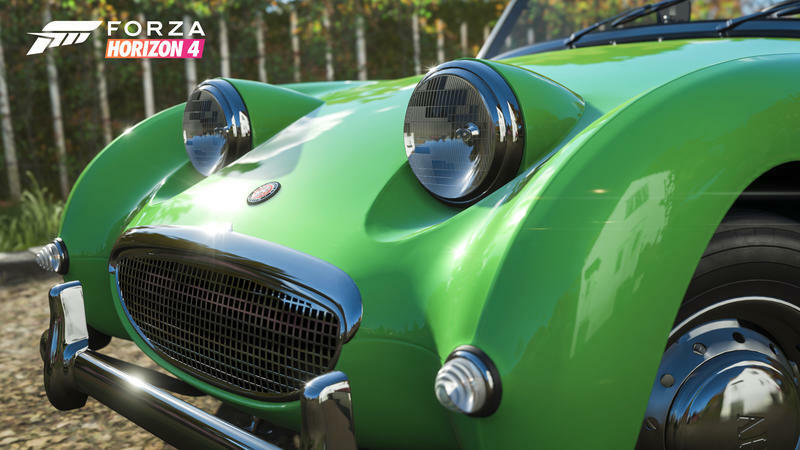 The Forza Horizon series is something I play with a dumb grin on my face, and that hasn't changed in Forza Horizon 4. 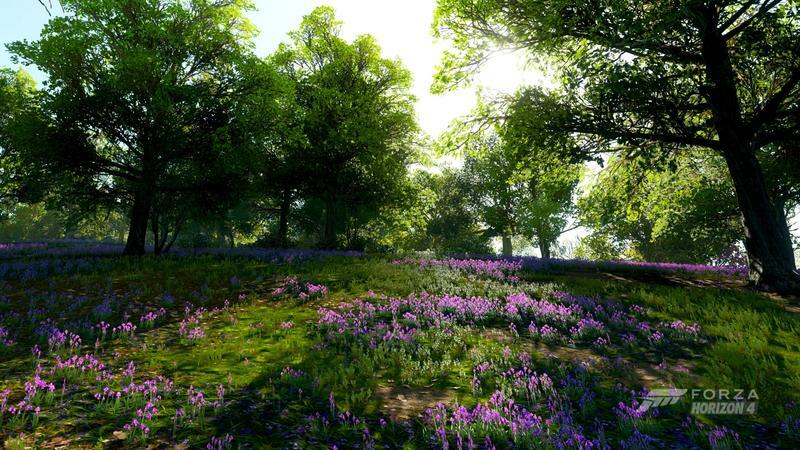 The seasons are an absolute technical triumph that brings not just visual beauty but varied gameplay with it. 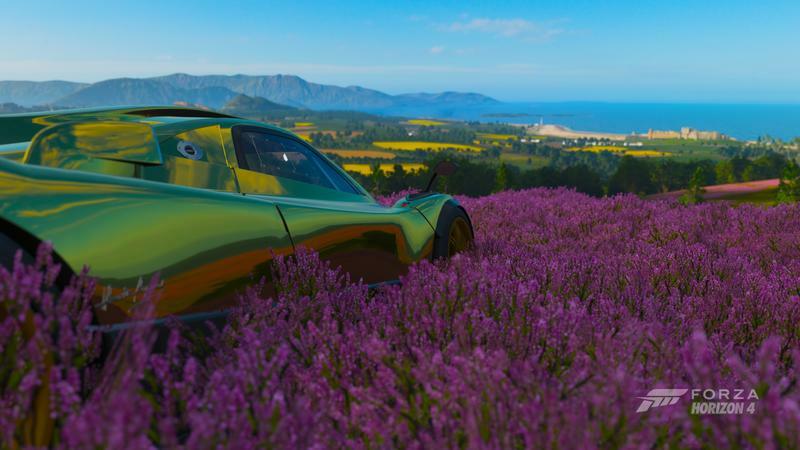 Despite essentially being the same game four times running, Forza Horizon has life left in it, and it leaves me looking forward to wherever the next game takes it. In the meantime, I'll probably be playing this into 2020 just like I've played Forza Horizon 3 in the months running up to this one. It has that much life in it. 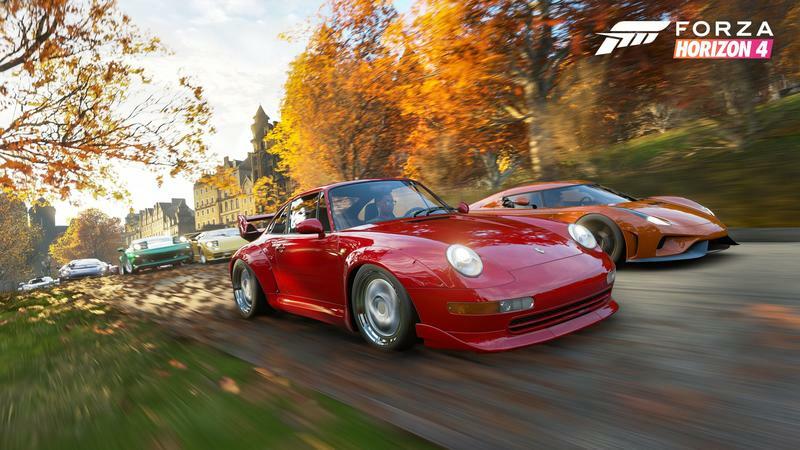 Disclaimer: We received a review code for Forza Horizon 4 from the publisher and played the game for 30-plus hours before starting this review.